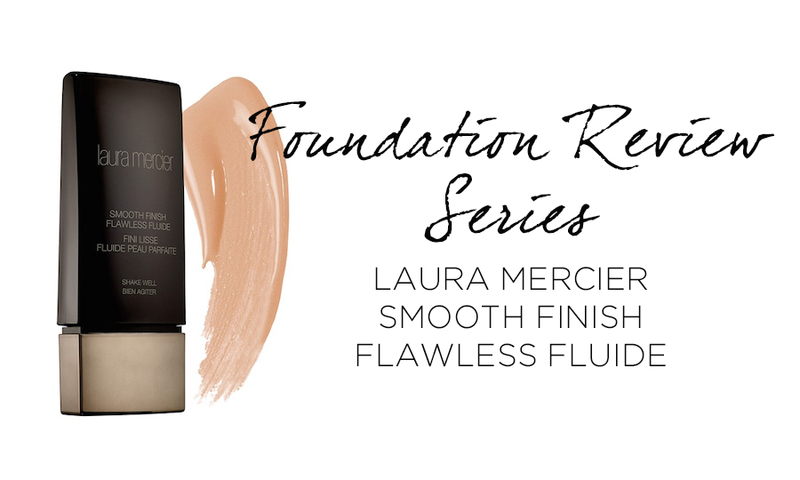 Ladies, it's high time I added to my Foundation Review Series, and this time I have a new offering from the ever amazing Laura Mercier (my absolute favourite for base products) - the Flawless Finish foundation. New-age foundations are all the rage nowadays, and Laura Mercier is the latest to hop aboard this trend. So let's get right into the review, shall we? As I mentioned before, new-age foundations are foundations that have a different texture from regular foundations - they're lighter and yet offer equal or more coverage, they are generally very fluid, and they dry down to a velvety finish on the skin. This foundation is slightly thicker than, say, the Chanel Perfection Lumiere Velvet, but still definitely has that fluid texture. According to Laura Mercier, the light texture is a bi-phase, oil-free formula that mixes colour pigments together with 'reflective water' to give you both lightweight and true-to-colour coverage. I have to say, I'm not a fan of the packaging on this product. I had mine sitting in a drawer for a couple of weeks before I finally took it out to trial, and whilst it looks sleek on the outside, once I opened the screw cap, I saw that the product had leaked all over the thin spout-style dispenser and into the cap. What's more, my bottle won't dispense the foundation unless I bang it on the countertop. What I love about this foundation is how well it sits on the skin - I am currently experiencing peeling skin from a laser treatment, which means that I'm having trouble with a lot of foundations separating and seeping into the 'cracks' and flakes in the skin, especially since my skin does get oily throughout the day. This one sits well on my skin without separating; I like to apply it with my fingers (as with all the new-age foundations that I use) as it helps the product blend into the skin and sit on the skin better. Plus, I find that these lightweight foundations are very quickly absorbed into foundation brushes and sponges, so I prefer my fingers. Remember to always shake the bottle vigorously before you start using the product. Here's a bad photo of the foundation after it's been on my skin for about 4 hours. 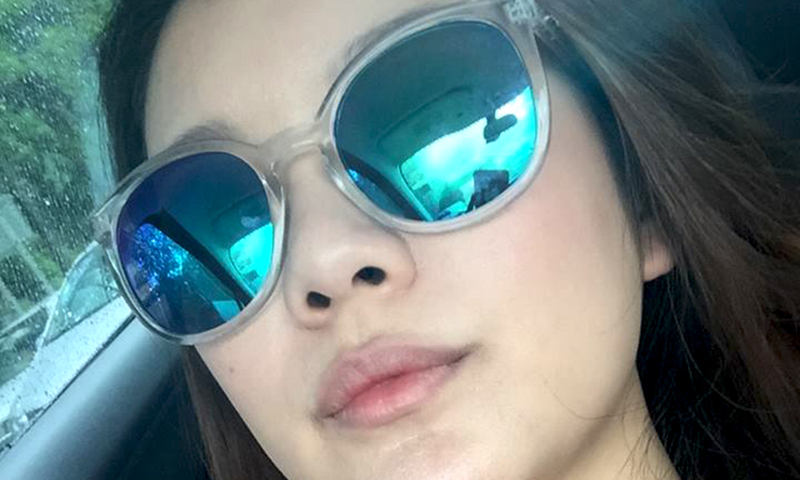 My chin is a problem area for me at the moment - I touch it a lot, there are bumps and acne, and it gets oily. As you can see, the foundation has stayed put on the rest of my face, but it's looking a little off on my chin area. I'll upload better photos soon! The product also lasts very long on the skin, and provides a nice medium-to-full coverage. If you're oily, it starts off looking very velvety and matte on the skin, but as your skin produces oil throughout the day, it has decent oil control (if you're very oily, you will probably need a touch up with some powder) and ends up looking quite luminous. It can be layered to provide more coverage, but be careful not to layer too much because it will start balling up underneath your fingers if you do. I would rate this product a 3.5/5 - I like the coverage and finish, the lasting power and oil control is okay, and I'm not a fan of the packaging. I would recommend this foundation for combination to oily skins.